Let us pay close attention here. Jesus is confirming the stance on divorce from God, not altering it. He even goes back and restates what God said when He ordained marriage. He then confronts them with the uncomfortable fact that they would routinely divorce their wives because of their hard hearts and that is what we see today as well. The hardness of our hearts to not listen to what God has said can be seen in statements like, "God doesn't want me unhappy"; "I tried my best, we just don't love each other anymore"; or "God showed me it was ok to leave." No He did not. If he did, He would be violating His own Word. What Jesus is actually saying here at the end is about adultery, not divorce. Whoever divorces his wife (or the other way around) for any reason OTHER than sexual immorality and marries another commits adultery. For far too often Christians have used this as a "get out of marriage free card." Jesus gave me permission -- no He did not. He is teaching that if you choose to divorce for reasons of sexual immorality and get remarried you do not need to worry about committing adultery with your new spouse. That does not change the facts laid out above that God still hates divorce. It is certainly not unforgiveable or unpardonable but it remains truth. Now before you start thinking of all the difficult scenarios such as abusive marriages, realize that God does not change because we sin. This devotional is not about divorce but the scriptural groundwork was important before we start to look at a recent divorce that shook the women's ministries landscape in this country. The founder and president of Proverbs 31 Ministries announced that she is getting divorced from her husband of nearly 25 years. I want you to understand that I feel badly for the situation Lysa TerKeurst finds herself in. That does not prevent me however from correctly applying Scripture and being more concerned about the sheep that follow her ministry and what they are going to learn from how she handles this painful part of her life. I avoided this subject for a few weeks now but there are things about her statement and the responses she is receiving that trouble me. Let us delve a little deeper into what she had to say when she announced her intention of divorce. First of all, I seriously doubt anyone would question the sincerity that Lysa has regarding what must have been a very painful decision. I do not need to see her tears as I am sure they are real. The problem is what ensues. Why is anyone airing their dirty laundry in this detail to the entire world? You don't share this to harm or embarrass him? Is there anyone who thinks that is not the exact result of doing this? Is this the role of anyone in the process of getting divorced who fancies themselves a Christian? Why does Lysa feel compelled to share why she is getting divorced with such vivid description of her spouse's sin? Because of her ministry. Proverbs 31 is what she has invested two decades of her life in, possibly more than her marriage. So while it is clear that she no longer feels any obligation to love, honor and obey her husband, even though the actual divorce has not gone through yet -- her chief obligation appears to be to her fans and followers and I have a bit of an issue with that. If you felt the need to share with them you did not have to throw your soon to be ex-husband under the bus. You could simply say that you are following all biblical protocols and are seeking wise advice from people in your life who provide accountability. This does not sound like that. This sounds like blaming. When I read the above paragraph I see someone telling me it was not their fault. By the way, if her accusations are true then her husband owns those decisions and they are his fault. Just like Lysa owns her decisions. The darkness won when you decided to no longer honor your covenant with God. Yes it may have been the result of your husband dishonoring that covenant first and repeatedly. That does not mean that you did not make the same covenant with God that he did. If you truly intersect God's Word at this most difficult part of your life you would be forced to confront the key verse today and the countless supporting verses throughout Scripture. Being sold out to God and what He says includes what He says about marriage and divorce. 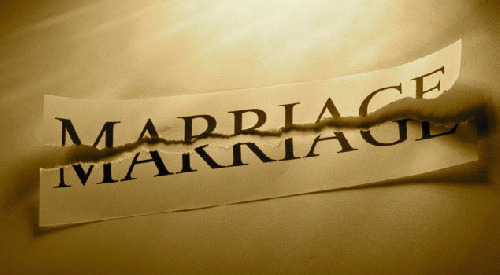 Even if you decided that you could not take any more of the betrayal, which no one would necessarily blame you for, the answer is not a public desecration of your marriage to accompany your husband's personal desecration. Even if you decided that you could not take the pain anymore, your ministry should not be your primary concern. Your walk should be. Now maybe Lysa is confused because after all her pastor is Steven Furtick who thinks the entire Bible is about him. It is not. It is about God. So Lysa's plan is to continue to lead a ministry designed to help Christian women in their struggles and she sees no issue with doing so after breaking a marital covenant with God. What lesson do the women learn who follow her? Who will be willing to fight for their marriages even in the face of tremendous betrayal and strife? Read the Book of Hosea beloved where God depicts Israel as a prostitute that He continues to forgive. God did not get exasperated and just say, well they refuse to correct their ways. Listen beloved, this is not an easy topic. I get that. I am not in their relationship. What I do know is what the Bible tells me and that assures me God told her no such thing as abandon her marriage. I know enough about human relations that no one is ever entirely to blame within a relationship. I know our hearts are hard and we want what we want. This is not a denial of the pain and suffering Lysa TurKeurst feels she has gone through. This is not shifting the blame either as her husband owns what he has done and will answer for it if it goes unrepentant. But her husband is not the one with a 20 + years ministry that resulted in an international schedule and worldwide speaking engagements. That was Lysa. She should realize that even if she does not want to stay in the covenant she made with God because of her husband's behavior she should be focused on her walk -- not her ministry. She has sheep following her that are going to learn from this that it is ok to publically humiliate the man you are still in covenant with in order to present yourself as vindicated. That you can leave as long as you feel in your heart that God has somehow said something that is in direct contradiction to His Word. We should pray for her husband to repent. We should pray that her followers do not learn the carnal lessons Lysa has taught with her public admission. We should also pray for Lysa. For her walk with the Lord, not for her ministry. God can restore anyone and any marriage. But you have to want it. She claims he wants his affair more than his marriage but she has shown that her ministry was more important and that should be very disturbing for us as believers.